When 25-year-old Brandon Whitten died in 2002 as a result of an addiction to prescription drugs and alcohol, it changed his father Reggie’s life. Brandon had been an All-American athlete, a good student and son. But his addiction and untimely death set Reggie on a new path. Since 2002, Reggie Whitten has been passionately starting nonprofits to invest in the lives of those seeking help, those at-risk, or anyone who has been directly affected by substance abuse. In What’s Your Fate?, Reggie Whitten and others discuss the impact of substance abuse and what you can do to combat it. Filled with testimonies from athletes and doctors, the book will move your heart, and then motivate you to act. After Brandon Whitten’s death, FATE was born. FATE, or Fighting Addiction Through Education, is a nonprofit organization dedicated to educating Oklahomans on substance abuse and addiction and significantly reducing its incidence in our state. By fighting addiction, the health, safety, and personal lives of the members of our community can be positively impacted. 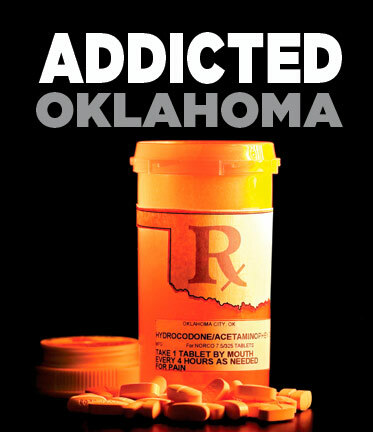 Oklahoma faces a serious problem with substance abuse and addiction. Armed with knowledge and the motivation to make a difference, you can help change the fate of Oklahomans impacted by addiction. What’s Your Fate? is an informative look at the dangerous reality of addiction that open the discussion on how to fight addiction for our citizens, our school kids, our loved ones and ourselves. For other helpful information, visit our Resources page.